...[to use] data from human skeletal analysis and paleopathology [the study of ancient diseases] to measure the impact on human health of the Neolithic Revolution and antecedent changes in prehistoric hunter-gatherer food economies. The symposium developed out of our perception that many widely debated theories about the origins of agriculture had testable but untested implications concerning human health and nutrition and our belief that recent advances in techniques of skeletal analysis, and the recent explosive increase in data available in this field, permitted valid tests of many of these propositions. In other words, they got together to see what happened to human health as populations adopted agriculture. They were kind enough to publish the data presented at the symposium in the book Paleopathology at the Origins of Agriculture, edited by the erudite Drs. Mark Nathan Cohen and George J. Armelagos. It appears to be out of print, but luckily I have access to an excellent university library. Mortality. Archaeologists are able to judge a person's approximate age at death, and if the number of skeletons is large enough, they can paint a rough picture of the life expectancy and infant mortality of a population. General growth. Total height, bone thickness, dental crowding, and pelvic and skull shape are all indicators of relative nutrition and health. This is particularly true in a genetically stable population. Pelvic depth is sensitive to nutrition and determines the size of the birth canal in women. Episodic stress. Bones and teeth carry markers of temporary "stress", most often due to starvation or malnutrition. Enamel hypoplasia, horizontal bands of thinned enamel on the teeth, is probably the most reliable marker. Harris lines, bands of increased density in long bones that may be caused by temporary growth arrest, are another type. Porotic hyperostosis and cribra orbitalia. These are both skull deformities that are caused by iron deficiency anemia, and are rather creepy to look at. They're typically caused by malnutrition, but can also result from parasites. Periosteal reactions. These are bone lesions resulting from infections. Physical trauma, such as fractures. Degenerative bone conditions, such as arthritis. Isotopes and trace elements. These can sometimes yield information about the nutritional status, diet composition and diet quality of populations. Dental pathology. My favorite! This category includes cavities, periodontal disease, missing teeth, abscesses, tooth wear, and excessive dental plaque. The level of skeletal (including cranial and pelvic) development Paleolithic groups exhibited has remained unmatched throughout the history of agriculture. There may be exceptions but the trend is clear. Cranial capacity was 11% higher in the upper Paleolithic. You can see the pelvic data in this table taken from Paleopathology at the Origins of Agriculture. During the upper Paleolithic stage, subsistence seems focused on relatively easily available foods of high nutritional value, such as large herd animals and migratory fish. Some plant foods seem to have been eaten, but they appear not to have been quantitatively important in the diet. Storage of foods appears early in many sequences, even during the Paleolithic, apparently to save seasonal surpluses for consumption during seasons of low productivity. As hunting and gathering economies evolve during the Mesolithic [period of transition between hunting/gathering and agriculture], subsistence is expanded by exploitation of increasing numbers of species and by increasingly heavy exploitation of the more abundant and productive plant species. The inclusion of significant amounts of plant food in prehistoric diets seems to correlate with increased use of food processing tools, apparently to improve their taste and digestibility. As [Dr. Mark Nathan] Cohen suggests, there is an increasing focus through time on a few starchy plants of high productivity and storability. This process of subsistence intensification occurs even in regions where native agriculture never developed. In California, for example, as hunting-gathering populations grew, subsistence changed from an early pattern of reliance on game and varied plant resources to to one with increasing emphasis on collection of a few species of starchy seeds and nuts. ...As [Dr. Cohen] predicts, evolutionary change in prehistoric subsistence has moved in the direction of higher carrying capacity foods, not toward foods of higher-quality nutrition or greater reliability. Early nonagricultural diets appear to have been high in minerals, protein, vitamins, and trace nutrients, but relatively low in starch. In the development toward agriculture there is a growing emphasis on starchy, highly caloric food of high productivity and storability, changes that are not favorable to nutritional quality but that would have acted to increase carrying capacity, as Cohen's theory suggests. ...it seems clear that seasonal and periodic physiological stress regularly affected most prehistoric hunting-gathering populations, as evidenced by the presence of enamel hypoplasias and Harris lines. What also seems clear is that severe and chronic stress, with high frequency of hypoplasias, infectious disease lesions, pathologies related to iron-deficiency anemia, and high mortality rates, is not characteristic of these early populations. There is no evidence of frequent, severe malnutrition, so the diet must have been adequate in calories and other nutrients most of the time. During the Mesolithic, the proportion of starch in the diet rose, to judge from the increased occurrence of certain dental diseases [with exceptions to be noted later], but not enough to create an impoverished diet... There is a possible slight tendency for Paleolithic people to be healthier and taller than Mesolithic people, but there is no apparent trend toward increasing physiological stress during the mesolithic. Cultures that adopted intensive agriculture typically showed a marked decline in health indicators. This is particularly true of dental health, which usually became quite poor. Stress, however, does not seem to have become common and widespread until after the development of high degrees of sedentism, population density, and reliance on intensive agriculture. At this stage in all regions the incidence of physiological stress increases greatly, and average mortality rates increase appreciably. Most of these agricultural populations have high frequencies of porotic hyperostosis and cribra orbitalia, and there is a substantial increase in the number and severity of enamel hypoplasias and pathologies associated with infectious disease. Stature in many populations appears to have been considerably lower than would be expected if genetically-determined maxima had been reached, which suggests that the growth arrests documented by pathologies were causing stunting... Incidence of carbohydrate-related tooth disease increases, apparently because subsistence by this time is characterized by a heavy emphasis on a few starchy food crops. Most [studies] conclude that infection was a more common and more serious problem for farmers than for their hunting and gathering forebears; and most suggest that this resulted from some combination of increasing sedentism, larger population aggregates, and the well-established synergism between infection and malnutrition. There are some apparent exceptions to the trend of declining health with the adoption of intensive agriculture. In my observation, they fall into two general categories. In the first, health improves upon the transition to agriculture because the hunter-gatherer population was unhealthy to begin with. This is due to living in a marginal environment or eating a diet with a high proportion of wild plant seeds. In the second category, the culture adopted rice. Rice is associated with less of a decline in health, and in some cases an increase in overall health, than other grains such as wheat and corn. In chapter 21 of the book Ancient Health: Bioarchaeological Interpretations of the Human Past, Drs. Michelle T Douglas and Michael Pietrusewsky state that "rice appears to be less cariogenic [cavity-promoting] than other grains such as maize [corn]." The arthritis data are also complicated by the fact that the hunter-gatherers discussed commonly displayed higher average ages at death than did the farming populations from the same region. The hunter-gatherers would therefore be expected to display more arthritis as a function of age even if their workloads were comparable [to farmers]. In any case, it appears arthritis is normal for human beings and not a modern degenerative disease. Taken as a whole, these indicators fairly clearly suggest an overall decline in the quality-- and probably in the length-- of human life associated with the adoption of agriculture. Fascinating post. I would love to get my hands on that book, I'll see if I can track it down in my local library. I also found Cordain's thoughts interesting about how early humans did not face a chronic cycle of abundance and shortages of food, which is the leading rationalization of the thrifty gene theory. 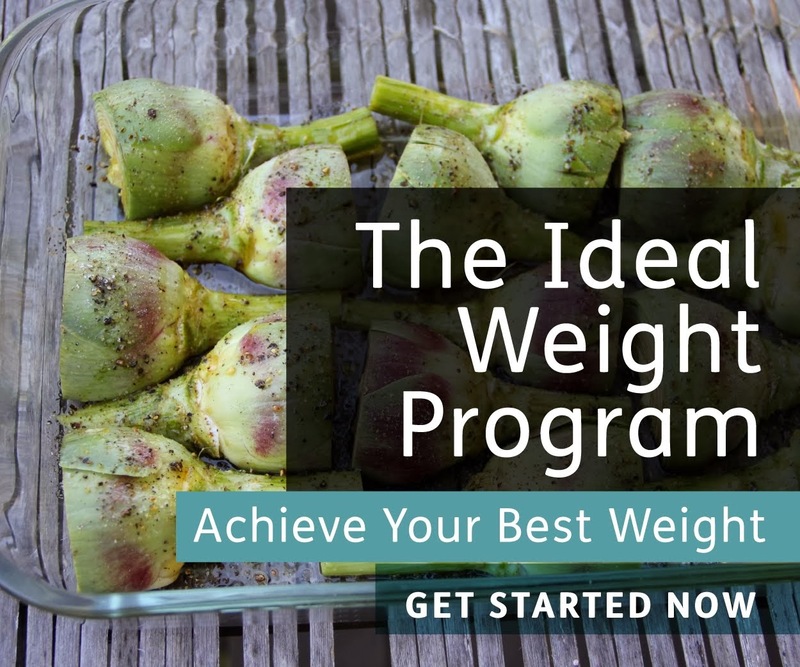 Putting too much stock in that idea has probably hampered any success in modern obesity research, with too many clinicians saying that people are just "predisposed to gain weight." That may be true, but only in the presence of a high wheat, starch and sugar diet with a lack of fat soluble vitamins. I do not believe that arthritis is "normal". I personally know people who have cured themselves of arthritis late in their lives by adopting a strict Upper Paleolithic diet. One woman went from literally wheel-chair bound to 5-mile Sunday walks in under a year; I forget her exact age but it was well past the 30-year life expectancy of Gretta the cavegirl. Our brains are 10% smaller !!! ?? Western conditions are not new just earlier and higher prevalence ?? I wonder if the HGs with arthritis had joint pain. One can have significant degenerative bone changes without pain. Especially if you have low inflammation. I assume that the woman Brock described rising from her wheelchair wasn't cured by reversal of the degenerative bone changes. I assume she lowered her inflammation level so that the bone changes were no longer causing pain. Jared Diamond wrote an article on this very topic in Discover magazine back in 1987. It was titled provocatively "The Invention of Agriculture: The worst mistake in the history of the human race." He made many of the same points. Stephan -- nice work. You're insights and compilation of information is much appreciated. After looking around at many of your posts, I've found that indeed there is much to resonate with. In fact, sometimes I wonder whether or not you're somehow invading my brain ... seriously, dude. You're dead on. Diamond popularizes the "agriculture as mistake" concept. Redman does a more fair job of articulating the reasons for the successes of agricultural communities against hunter-gatherers in his book, Ancient Impacts on Human Environments, when he acknowledges the survival superiority of the larger, stratified, specialized agricultural communities when competing against the smaller hunter-gatherer groups. Culture trumped nature, in effect. Happily we have the leisure to take the best from the paleolithic groups, but within the context of systems that are very different. Diamond can lament the "mistake" from the comfort of his nice home, on his word processor, but we're probably not going back. Technology has been, by in large, to the enormous benefit of mankind but with every technological advance there have been winners and losers. Just think about what it would have been like to live before the germ theory of disease. Midwives used to think that it was best to deliver a new baby with the afterbirth of the previous delivery still on their hands. Yum! Washing with boiled water would have been considered deleterious. If you imagine a graph of progress over time, it's clear that it's very lumpy with many local minima to get stuck in. It generally takes us some sort of major upheaval to get us up and out of that local minima and progressing towards enlightenment once again. Consider the case of Galileo and how he was persecuted by the inquisition for daring to suggest that the Earth orbited the sun. Similarly I think that our current dietary troubles are largely a result of the strain of puritanism that runs through North American culture. If we want to blame something for our troubles, blame the culture, not the science and technology. Amazing post! This leaves no doubt in my mind, that paleo heavy is best. Hmmm. I've read this twice...it just is a very telling thought piece. To restore health, we move our nutritional approach back through time. First stop, Mesolithic. With the elimination of anti-nutrients (wheat, etc.) and the increased variety of food, nutrition becomes near optimal for most. Fat-soluble vitamins are at sufficient levels, either through the inclusion of specific foods (seafoods, organ meats) or supplementation. This move to Mesolithic nutrition would likely resolve the vast majority of nutrition-driven health issues in the world today, essentially returning us to the lifestyle and health observed by Dr. Price in the 30's. If a person has a compromised metabolim already (diabetes perhaps), or simply does not tolerate starches (even non-wheat/corn) very well, they move further back in time to the Paleoithic where their primary energy source is fat. Fat-soluble vitamins remain important if they do not consume organs, etc. I like this model because it holds out hope for the great mass of humanity, those who are not like us (the ones who are fascinated by blogs like this). The "Mesolithic Message" allows for agriculture to provide the great mass of calories in the form of starch to keep people alive...if only those fertile fields can be turned to the production of non-wheat starch...or wheat can be modifed by genetics or processing. This also allows a role for technology in the form of nutrtional supplements since producing enough liver and fish eggs, etc. for the entire world to eat would be a tremendous additional strain on our ecosystems...if you could get people to even eat them. Is modified Mesolithic nutrition (modified by technology)the abolute ideal? Possibly not; Paleoithic is likely the absolute ideal. But would it be orders of magnitude better than the current worldwide food system? Yes. Is it more achievable on a worldwide scale than Paleo, allowing for mass consumption without compromised health? I think so. Thanks Stephan for this great post. I definitely have no faith in the thrifty gene hypothesis. But I'm learning that Dr. Cordain is in the minority in asserting that HGs didn't often have periods of food shortage. I'm reading a book by Dr. Mark Cohen right now that discusses evidence of lean seasons in several contemporary HG groups including the San bushmen. They're better-fed than most of the agriculturalists in their area, but they do have a seasonal weight fluctuation of a couple of pounds on average, seemingly due to a lower caloric intake. You bring up a good point. A better way of saying it is that paleolithic humans had degenerative joint changes, but we don't actually know if they suffered from what we call arthritis today. Another point is that archaeologists also see premature joint degeneration in certain agricultural groups but not HGs, so there may be multiple ways of getting it. Yes, the implication of the Paleolithic skulls is that our brains are significantly smaller today. Amazing, isn't it? It's hard to say if arthritis was as common, because it's difficult to get precise age of death measurements on a lot of these skeletons. I don't feel capable of answering that question. I'd say that's a fair statement that the "diseases of civilization" weren't 100% absent, strictly speaking, but were probably quite rare on an age-matched basis. Thanks. I'll look forward to your future comments! Agreed. I think it's too late for us all to hunt wild bison for a living. But we can still learn how to live better from the past. Yeah, the germ theory was a big one. I agree with you about our puritanical streak influencing our diet culture. You probably see me waffling between paleo and Weston Price-type diet styles on this blog. I really do think the two can be reconciled. Early agriculturalists were definitely worse off than the HGs that came before them on average, but there are some groups that have made it work. Price found some of them. I think paleo is fantastic, period. I'm just not convinced it's necessary to be quite so restrictive if you're willing to put some extra effort into food preparation. I think we're on the same wavelength. There are some practical problems with everyone going back to an early paleolithic diet after all! Stephan said: "I'm reading a book by Dr. Mark Cohen right now that discusses evidence of lean seasons in several contemporary HG groups including the San bushmen." He actually quotes Mark Cohen on the same page as saying that the hunter-gatherers he studied were "conspicuosly well-nourished..."
I don't buy the idea of lean times one bit. Modern hunter-gatherers are not representative of pre-industrial HG's. Think of how much HG's must have had to adapt their lifestyles due to the environmental impact of the industrial revolution. The archaeological data contain evidence of periodic undernutrition even in paleolithic HGs. They show enamel hypoplasia and Harris lines in some individuals, although generally at levels lower than the agricultural populations that followed. I think periodic undernutrition has always existed in HGs to some degree, although apparently it was pretty mild for most groups. I'm curious about the 11% reduction in cranial capacity. The Nature abstract that's linked to doesn't mention that specifically unless I'm misreading it, and I can't afford the article. Can you briefly explain it, if you have time? It seems like a really significant devolution. Does the capacity always directly dictate brain size? Would it mean that our Paleo ancestors had the potential to be much more intelligent than us? Or perhaps that our brains evolved to be more complex with less mass? I haven't actually read the paper, I lifted that reference from a couple of books I read. I also noticed that the 11% figure isn't in the abstract, so I have to go on the assumption that it was correctly cited. That does imply that our brains are smaller than upper Paleolithic brains. But the correlation between cranial capacity and intelligence isn't that tight so we aren't necessarily less intelligent. On the question of brain size, clearly neuron density and structure will play a part in the determination of intelligence. As I read Women have smaller more neuron dense better connected brains, and some suggest more neurons. Some whales have big brains. What do whales use their brains for?? Whales might have an IQ of 2000 !!?? This is an interesting blog. I have no idea how accurate it is. An individual neuron can be thought of as a computing element, or gate. What determines how much computation you can get out of a brain is then the packing density of neurons and how quickly they can recycle and fire again. This is analogous to how many bits your processor can handle at once (e.g. 32, 64-bit) and its clock speed (in GHz) respectively. Compared to silicon, animal brains are slow and massively parallel. Typically big animals have big, long neurons to go along with their big, long bodies. The action potential of a neuron firing has a rather fixed velocity, so all other things being equal a longer neuron takes more time to execute a single instruction. The ratio of brain mass to the balance of the remainder of the body is one metric I've seen to try and compare intelligence across species. So, for example, by some measures, crows are more intelligent than dolphins. Even though the dolphin's brains are physically far larger, the crow's neurons are more tightly packed together. It's always nice to come across someone else who promotes the nutrition we've evolved on as opposed to the nutrition we've invented. Are you familiar with the work of Dr. Weston Price? In the early to mid 1900's he studied many native cultures that were not yet modernized and found their health to be far superior to that of modernized cultures. Upon revisiting these native cultures, he also found that their health significantly deteriorated once they were introduced to a modern diet. The Paleopathology book sounds very interesting, I look forward to reading it. Weston Price is one of my favorite topics on this blog. Nutrition and Physical Degeneration is the most important nutrition/health book I've read. "One pathology that seems to have decreased with the adoption of agriculture is arthritis. The authors speculate that it may have more to do with strenuous activity than other aspects of the lifestyle such as diet. Another interpretation is that the hunter-gatherers appeared to have a higher arthritis rate because of their longer lifespans:"
Wonderful post. I live in Los Angeles, and this difficult to find book us no longer at the UCLA Biomedical library. Seems like it should be reprinted. This is pretty critical information... or maybe I'm just showing my biases. Thanks Stephen. I just discovered your post searching for the book. I appreciate that you shared your review and insights. It's amazing how no matter where you go on the planet, indigenous diets "work" for health. Might be more animal or more plant based, but most omnivorous, like we have study of in Hawaii, and offer at our Hawaiian retreat. This Hawaiian traditional diet (The Waianae Diet) was very omnivorous, even had some notable starch - but not grains. And no grain fed animal foods. Aloha! For the record, since this has been widely debated in the comments - the author never said anything about brain capacity. There is no correlation between brain size and the number of neurons. The number of neurons is what determines brain capacity, not the size of the brain. Consider the dolphin, elephants, and some species of sea mammals, all of which have considerably larger brains than humans - yet humans have the highest neuron count. Why? 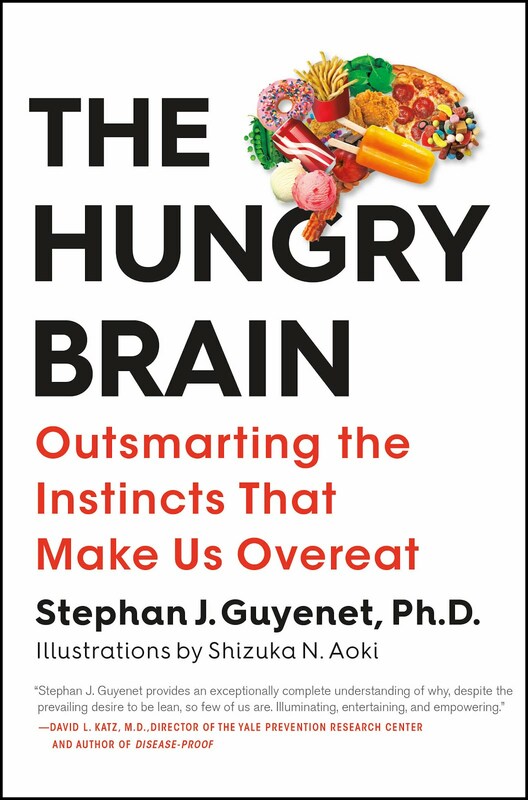 Our brains have evolved way that is optimized for "thinking a lot" - using fewer calories per neuron is part of how humans diversified themselves from other species: "work smarter not harder". I know there's a "war" on processed foods these days, but supposedly, the main thing that made this possible, was cooking - which is essentially a means of "digesting" the food before we consume it. Large sea mammals, for example, need to eat basically all day long - they simply don't have time for much other than eating, if they want to stay alive. I do not know whether cooking grains was part of facilitating our brain evolution or not, but it seems probable. Humans have been cooking for 250,000 years and I would be very surprised if people were not cooking and eating grains prior to the agricultural revolution. In my opinion, perhaps the explanation for a decline in brain and physical health could be found in the industrialization of the production of grain - something that could have lead to considerably lower quality of grain, even early on, since the crops were grown and harvested every year. I wonder if you still support what you wrote in this article five years ago? I ask because I just found it referenced in a forum, as an authorative source for the usual, naive paleo reasoning about grains. Without going into details, I don't think that this article is anywhere up to the standards readers are expecting from your blog today.